YAZI is a manufactory with more than 200 workers, our factory area is 8000sqm. We specialize in manufacturing various mannequins, such as: female mannequins, male mannequin, mannequin heads, mannequin hands, mannequin legs, mannequin torso, jewelry mannequins, hat mannequins, animal mannequins and so on. We have professional sculptor team, and mould develop team, we just need about 4 days to finish a new mould. We owned the copyright. Most of our products are hot selling in Europe and America market. 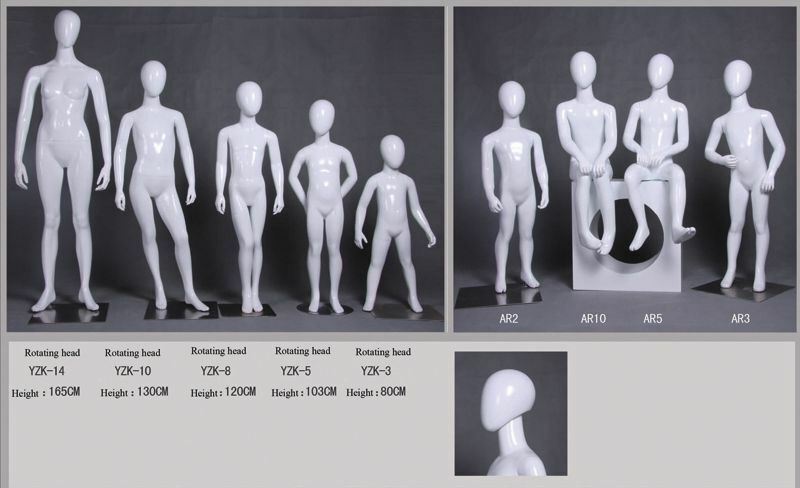 OEM & ODM service is available, we can design mannequins according to customer's drawing or sample. We can change the heads to match different body according to customer's demands. 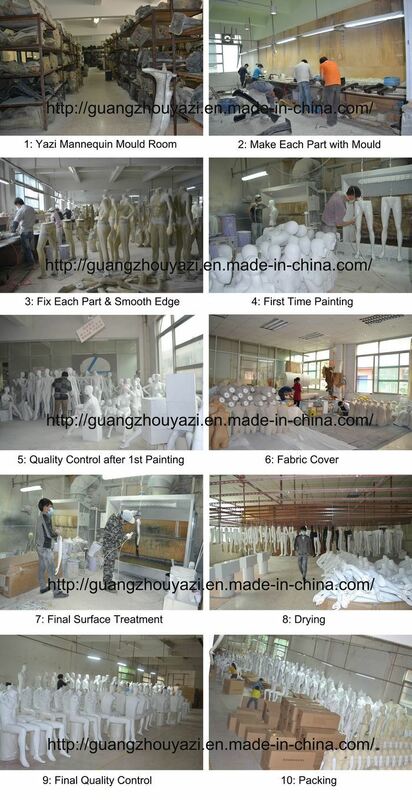 We can handle different surface treatment of mannequins, such as: painting in different color, electro-plated in different color, leather wrapped, or cloth wrapped. We can supply the most competitive price and reliable quality for customers. For mass production: About 20-25Â daysÂ after deposit confirmedÂ forÂ commonÂ order. HowÂ toÂ take careÂ yourÂ mannequinÂ forÂ longÂ timeÂ using? feet,Â joints,Â faceÂ andÂ neck.Â AvoidÂ bangingÂ yourÂ mannequinsÂ intoÂ anythingÂ hard,Â orÂ allowingÂ themÂ toÂ fall. Â WeÂ suggestÂ youÂ putÂ theÂ partsÂ onÂ softÂ clothÂ orÂ bubbleÂ wrap. toÂ wearÂ gloves,Â alwaysÂ makeÂ sureÂ yourÂ handsÂ areÂ clean.Â ThisÂ willÂ helpÂ protectÂ theÂ mannequinÂ fromÂ surfaceÂ dirt. willÂ notÂ impedeÂ customers'Â passing. aÂ longÂ timeÂ use,Â whiteÂ mannequinsÂ willÂ lookÂ likeÂ aÂ littleÂ beige,Â nowÂ youÂ couldÂ useÂ wetÂ clothÂ withÂ cleanserÂ essence. 7.AvoidÂ gettingÂ oilyÂ substancesÂ onÂ theÂ paint.